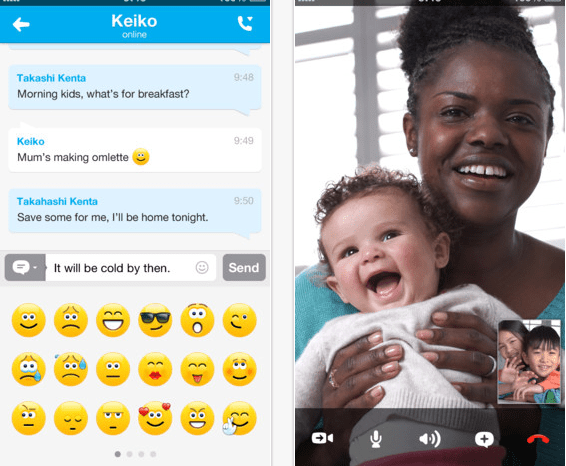 Skype today has begun testing a new instant messaging service. Now, the program will allow users to record short videos and send them to contacts not available in chat. A new way to interact with friends that are not connected and that expands the possibilities of a program that will come increasingly more competitors. This new feature allows you to record videos up to three minutes and send them to our friends, so they can view them as they connect. The video recording will be available for iOS devices, Android and Mac This new option will be released on devices with Windows until the end of April, as reported by Skype in a statement. Although the implementation of this new tool will start today will not be available to all users at the same time, and that will be implemented gradually to test its performance. For now the service is available to some users in the U.S. and UK. Skype will allow us to send up to twenty videos for free. After reaching this quota will have to checkout to continue enjoying the new tool. Article Skype will send short videos to offline contacts was originally published in News iPhone .